Qualitative risk analysis boosts the chances for project success dramatically. If I were to choose one thing to improve in my project management – it would be it. I honestly believe that this risks analysis in more than enough for small and medium projects. Qualitative risk analysis process is quite simple. It does not require much specific knowledge. Moreover, it requires an adequate amount of efforts. Project Manager will have a focus on the problems that crucial for project success. The team is encouraged to share their concerns and fears rather than hiding them into the buffered estimates. Qualitative risk analysis process creates engagement opportunities for stakeholders. A project gets more transparency of threats and opportunities. 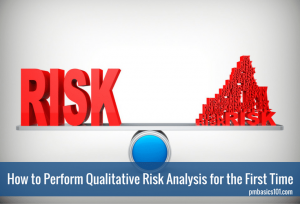 In this article, you will learn everything you need to know about qualitative risk analysis. Confusing a bit, don’t you think? Before we get into details of risk analysis, we need to clarify several other definitions. First of all, what is a risk? A risk is an event that was identified in advance that may or may not happen. If this event has an adverse effect on the project – it is a Threat. When it has a positive effect – it is an Opportunity. A project manager must work with both types of risks. He or she must protect the project from threats. Likewise, one must take advantage of opportunities. You know that one of the key experts on your project is going to leave the company soon. For sure, you need to reduce the negative effects of his leaving. For example, you can try to enroll a substitution in advance to ensure knowledge transfer. On the other hand, you can try to look for opportunities here! Such an unfortunate even many help you to force your management to find you a better expert. Therefore, it is a good idea always to be informed of resources that will be released soon. You may try to secure their acquirement in advance. Risk Appetites is a general and subjective description of acceptable risk level. Risk Tolerance is a measurable and specific level of risks. Risk Threshold is a particular point at which risks become unacceptable. For example, customer or sponsor may state that the budget is limited. However, we do not have any strict deadlines. It means that risk appetites for costs are low, while schedule may take a higher level of risks. On the other hand, they may say that we can take up to 10000 dollars of risks. That is their tolerance for risks to budget. Also if they say that we can not accept risks on more than 10000 dollars. That will be the risk threshold. It is important to know these levels for sure. It is wise to find out these values directly from stakeholders. To define a correct Risk Management approach. Prioritize and escalate certain risks. To develop an effective risk response strategy. We will discuss this point in a later post. Let me now interpret the PMBOK® Guide’s definition. Qualitative risk analysis is the process of grading each risk in terms of its probability and impact using a predefined ranking system. Based on the results of the grading, a project manager can perform analysis to prioritize risks and develop action plans (Risk Response Plans). 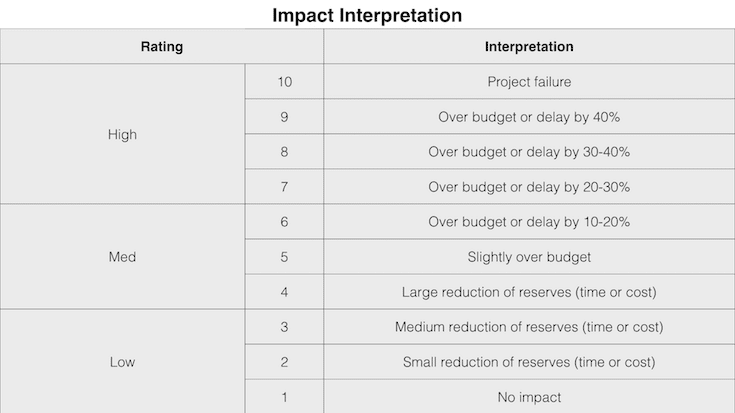 The impact is a level of effect that risk will have on the project. From the definition of a risk, it may be positive or negative. Probability is a level of likelihood of occurrence of the risk. The first problem for the analysis is to define the ranking system for impact and probability. You can represent the system as a simple spreadsheet. Should be aligned with project management approach. Should be brought into line with internal policies and procedures. At least for the purpose of communication and reporting. Should be clearly understood by stakeholders in the same way. 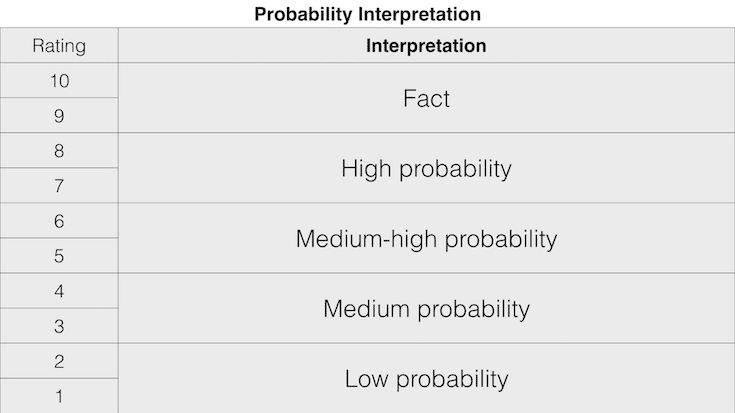 You can find examples of impact and probability interpretations on the Internet. Moreover, I will share some below. However, I strongly recommend you to refer to them as a starting point only. I suggest you to take some time to develop the interpretations that are aligned with your organizational environment. There are different names for this chart. Impact/Probability Matrix, Qualitative Risk Analysis Matrix, or just Risk Matrix. In fact, it is just a visualization of priorities. Red – risks that warrant a response. Yellow – risks that require further analysis and investigation. Green – risks that can be ignored. Put all identified risk into the Risk Register. Also, I do suggest that you first perform risk identification process separately. 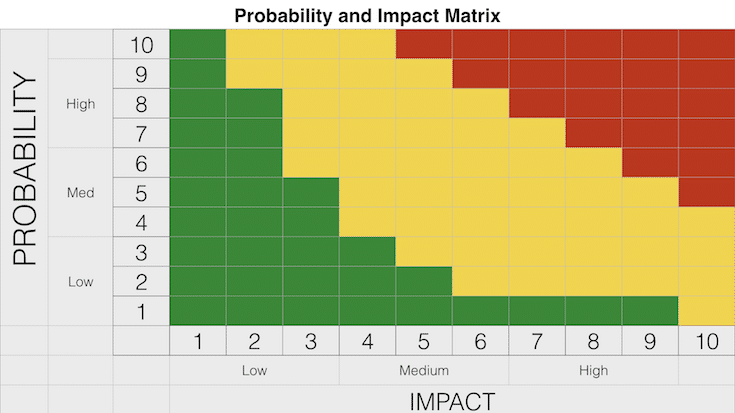 Using impact and probability ranks, evaluate each risk. Write them down into the Risk Register. Prioritise the list of risks. Analyse the list for the required outputs. See the next point below. In general, the analysis can occur at any moment. You can work with any amount of known risks. Nevertheless, in real life projects, I would define the next moments. During project initiation. Usually is an analysis of known risks on a high level to ensure feasibility. During planning phase. There should be one or several sessions where the bulk of analysis happens. 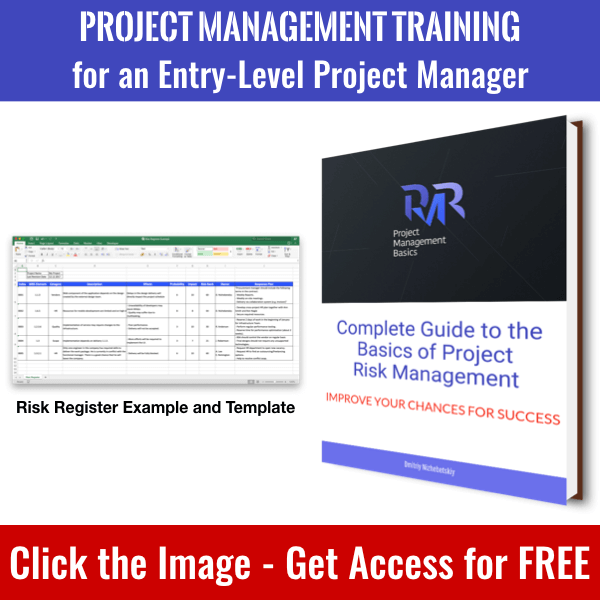 Here you work with the long list of identified risks, in all details, and this is the part of your project planning efforts. It may include analysis of separate deliverables or the project plan in general. During project execution. After your project kicks off, there will be changes. You need to analyze their impact in regards to risks. Moreover, you must also periodically reassess known risks. You. Some risks relate to project management. Here you are the key expert. However, even so, I would recommend consulting with your peers. Separate Stakeholders. In some cases, it is efficient to analyze some specific risks one on one. Expert Groups. Most of the time you will work with a group of dedicated people who possess the best expertise. Whole Project Team. If the size of the team allows, it may be beneficial to involve the whole team. At least to collect additional points of views. As you can see in most cases, you need to arrange interviews, meetings, and brainstorming sessions. Therefore, keep in mind rules of productive meetings. What should you get in the end? A prioritized list of risks. Your Risk Register should clearly communicate which risks should be dealt with. List of risks grouped by categories. By grouping risks, you get an opportunity to identify major root causes of problems. Therefore, you may find a universal solution for them. Alternatively, address the cause in the first place. List of risk for additional analysis and investigation. In some cases, you will not have all required expertise at hand. So, you will not be able to assess the risk correctly. Therefore, you will need additional consultation on the risks. List of urgent risks. Some serious risks may require an immediate action. Otherwise, they may cause severe impact on the project that has not even started yet. Watch List is a list of risks that you need to keep an eye on. They do not require response now. However, they might cause problems in the future. As you can see the qualitative risk analysis is simple. Nevertheless, it gives you focus on the important risks of your project. On the other hand, it removes uncertainty in planning as you will allocate resources for the evaluated threats and opportunities. Great series of videos, Dmitriy. I added this to the “Must Read” section of this week’s list. Thank you, Dave! It means a lot for me.